In case of cancellation security deposit will not be refunded. 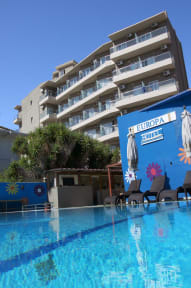 Europa Hotel is located in the center of Rhodes Town, opposite Psaropoula beach, on the northern part of the island. 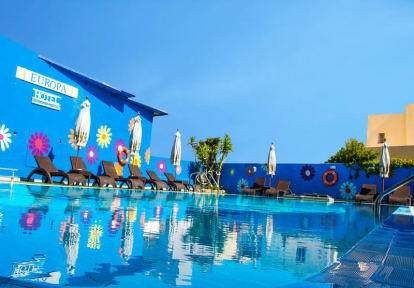 The hotel offers 100 rooms for 2 to 3 persons, with a pool, city or sea view. The hotel is a stone's throw away from a variety of: Restaurants / Bars / Shops / Banks etc.